Summary: Sleep apnea therapy and treatment options, sleep apnea surgery, sleep apnea cures, CPAP, sleep apnea mouth guards and oral appliances, non-medication options, medications, and conservative treatment options. 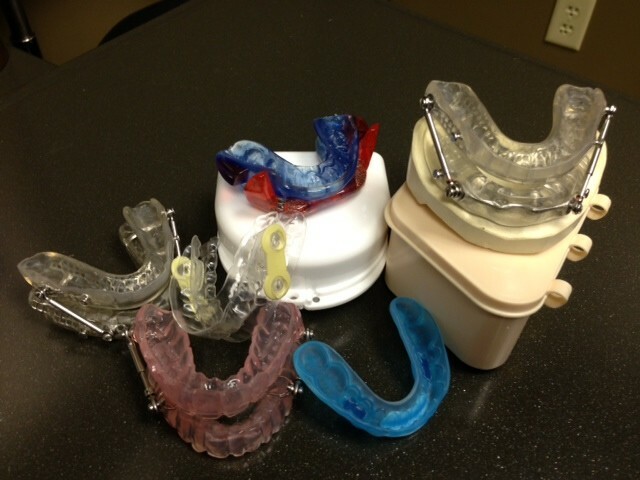 There are several treatment options available for obstructive sleep apnea. These options generally differ from options for patients with central sleep apnea. Treatment options are very patient-specific. What works for one person may not work for another. Treatment options should always be decided with the aid and advice of a physician. Some treatment options might work for individuals with mild sleep apnea, while others may work for mild, moderate, and severe sleep apnea. Weight Loss: If overweight or obese, weight loss can very effective at reducing or eliminating sleep apnea. In studies, even mild weight loss demonstrated measurable improvements in the diameter of the upper airway. There are several methods for safely losing weight. Conservative lifestyle changes, including diet and exercise can be effective. Medications have demonstrated mixed results. Bariatric surgery is also an option. Since weight loss can take significant time to accomplish, weight loss strategies are often recommended in conjunction with other sleep apnea treatments. CPAP: Continuous Positive Airway Pressure uses a machine, a mask, and hose to deliver air to the upper airway. These keeps the airway open and prevents closure and apneas during sleep. Sleep Apnea Oral Appliances: Also called JAD (Jaw Advancing Devices) and MAD (Mandibular advancing device) brings the lower jaw forward, opening the airway. Sleep Apnea Surgery: There are several sleep apnea surgeries available for the treatment of sleep apnea. They are usually performed by ENT physicians. Snoring and Stop Snoring Devices: There are several options to stop snoring. Other Treatment Options: Every year, new treatment options are uncovered. Often, the efficacy and consequences of new treatment is not known for several years. More on Sleep Apnea Devices. Newer treatments that are being studied include the Pillar Procedure (outpatient surgical procedure), Inspire (pacemaker-like device that controls the airway muscles), and negative intra-oral pressure devices. As mentioned, some patients are not ideal candidates for certain sleep apnea treatments. It is important for the patient to be aware of the symptoms of sleep apnea and to monitor symptoms post-treatment. Often, a sleep study is recommended before and after treatment to assess the efficacy of the intervention. It is important to have regular follow up with a clinician to periodically assess the effectiveness of sleep apnea treatment, and to monitor from side effects or other complications. As we get older, there is tendency for the body to change, and for sleep apnea to get worse. Often adjustments in therapy are needed.